Marking a quarter century in the art business, Art Projects International founder and director Jung Lee Sanders is presenting a stimulating group show that explores the iconography of landscape. By including the work of 12 artists who vary in their formal interpretations, “Blurred Horizons: Contemporary Landscapes, Real and Imagined” replicates the multifarious richness of nature in a gallery setting. The 25th anniversary exhibition at the Tribeca gallery includes works by: Catherine Opie, Clifford Ross, Filipe Rocha da Silva, Graham Nickson, Il Lee, James Turrell, Mary Heilmann, Myong Hi Kim, Richard Tsao, Seokmin Ko, Yojiro Imasaka, and Zhang Jian-Jun. As art historian and guest curator Kathryn Calley Galitz explains in an accompanying essay, the “Blurred Horizons” of the show’s title refers to the tendency in contemporary landscape art to muddy the divide between realism and abstraction. In her essay, Galitz draws upon the research of the art historian Robert Rosenblum, who in 1975’s “Modern Painting and the Northern Romantic Tradition” expounded on the connection between the Romantic sublime of the 19th century and Abstract Expressionism. A similarly emotive nature can be seen in the landscape imagery of artists practicing today, as evidenced by a number of the works on view in Tribeca. 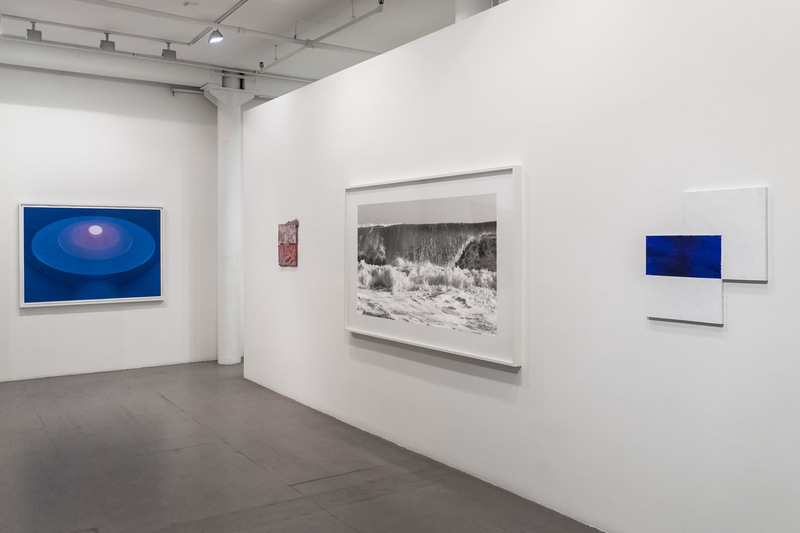 Installation view of Blurred Horizons at Art Projects International, New York, 2018.